Please show your student ID upon arrival. Rosenbach members are eligible for free admission to Hands on Tours. Membership must be active to qualify. The young widow who kept her husband’s heart in her desk, the author of the first post-apocalyptic novel (The Last Man) and the immortal Frankenstein, Mary Shelley was so much more than a goth pin-up! 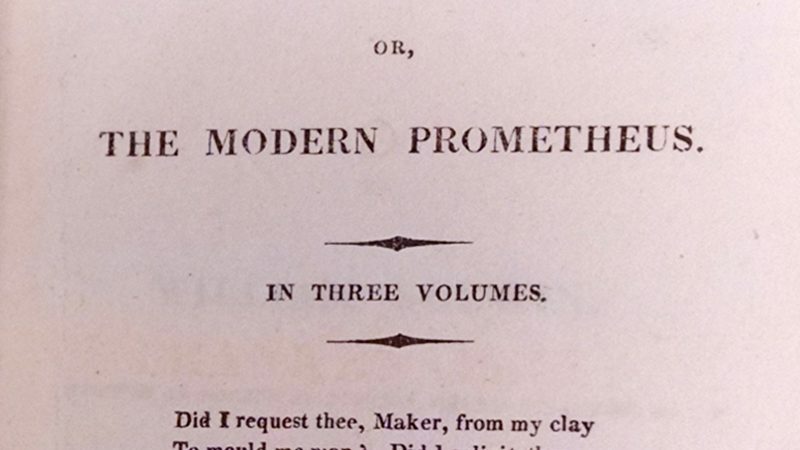 After the fires of her legendary romantic youth were drowned, Mary Shelley embarked on a career as a professional writer – publishing biographies, poems, travel narratives, short stories, and novels in multiple genres. Explore the life and works of this radical, proto-feminist, and quintessential Romantic (born on August 30) as we sift through early editions of her works, along with manuscripts and letters of her husband, poet Percy Shelley, and their disreputable friends. Hands-On Tours allow you unparalleled access to rare and important items that are not usually on view to the public. Space is limited and advance registration is strongly recommended.